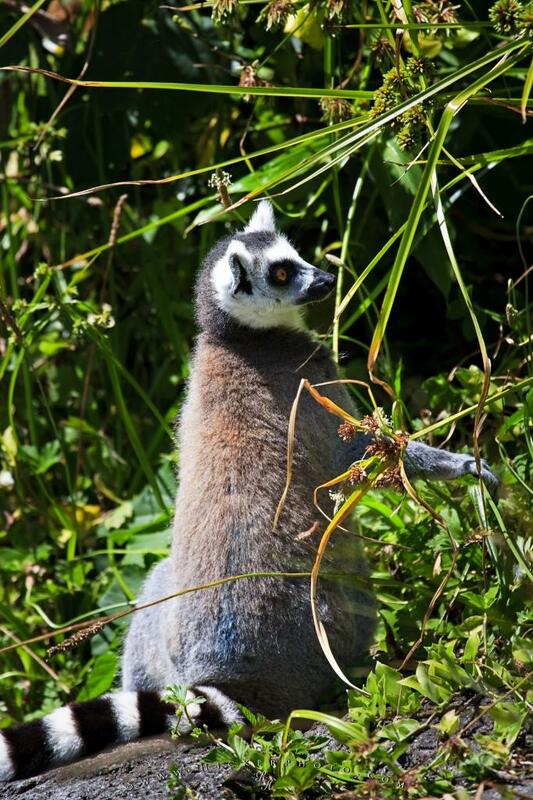 The Ring-tailed Lemur is naturally found only in Madagascar but they are also a common animal at the Auckland Zoo. One type of animal found at the Auckland Zoo in New Zealand, is this adorable Ring-tailed Lemur. As he sits in the forest of his habitat at the zoo, he pays close attention to the events that are going on around him.In the wild there are only about thirty different species of lemur left but even those are very susceptible to the dangers that surround their natural environment. Close to ten percent of the rainforests in Africa have already been ruined and that gives the Ring-tailed lemur less space to find safety. The ring-tailed lemur is a cute animal and very intriguing to watch while visiting the zoo. The females are in control of their family and have the final say in who their partner is going to be. The male will stand by while the female enjoys her meal and laps up her drink, truly a gentleman. ... Over the years they have continued to produce more offsprings and the proud parents now have six children to raise. The zoo is not the ideal place to raise an animal but sometimes they are considered to be in a safer place, especially when humans destroy their natural habitats. Ring-tailed Lemur, Lemur catta (Endangered) at the Auckland Zoo, Auckland, North Island, New Zealand. I photographed this photo with the digital SLR camera model Canon EOS-1Ds Mark II, aperture of f/6.3, exposure time of 1/320 sec. on ISO 100, as always I used a original Canon Lens, the focus lenght for this picture was 400mm.